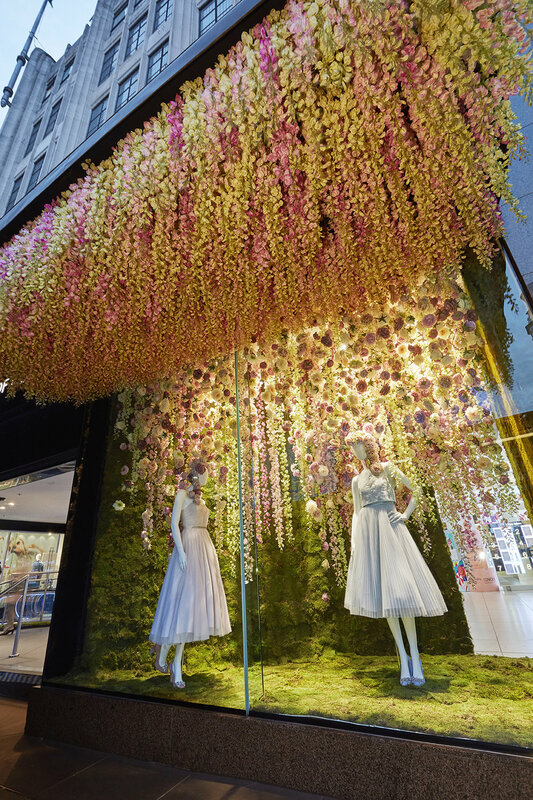 Launching alongside the Chelsea Flower Show and in celebration of the Queen’s 90th Birthday, this floral wonderland was created for House of Fraser’s flagship Oxford Street store. A canopy of peonies, roses and wisteria was set against a moss-clad backdrop to capture the colours of early English summer. The display continued externally with wisteria used to decorate awnings above the window.